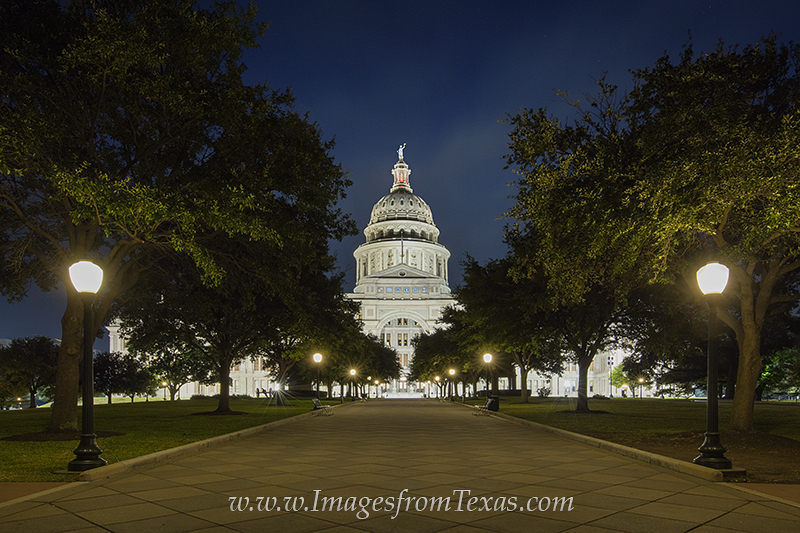 Lights illuminate the Great Walk in the front of the Texas Capitol building in Austin, Texas. Comprised of granite, the historic structures sits on 2.25 acres in the middle of 22 acres of perfectly manicured trees, bushes, rose and flower gardens, and lush grass. Photo © copyright by Rob Greebon.